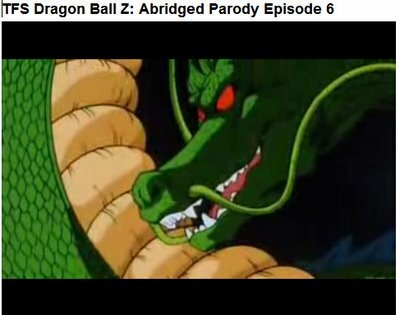 As of a few days ago, the hilariously funny TeamFourStar Dragon Ball Z Abridged parody got its latest episode. Like many otaku, I've become an instant fan of the parody. Speaking of DBZ's early episodes; Danielle and I have been watching the DBZ Season 1 Uncut DVD and its amazing how different the series is when you see it in its original form and not the bastardized first dub. I'm so glad anime brought to America has been kept whole and not filtered into a kiddy-Christian abomination...for the most part.